Two women are dead after a powerful explosion at a Quebec fireworks factory Thursday morning. The explosion at B.E.M. Fireworks in Coteau du Lac happened at around 9 a.m. The community is located in a rural area about 60 kilometres west of Montreal, near Valleyfield, Que. 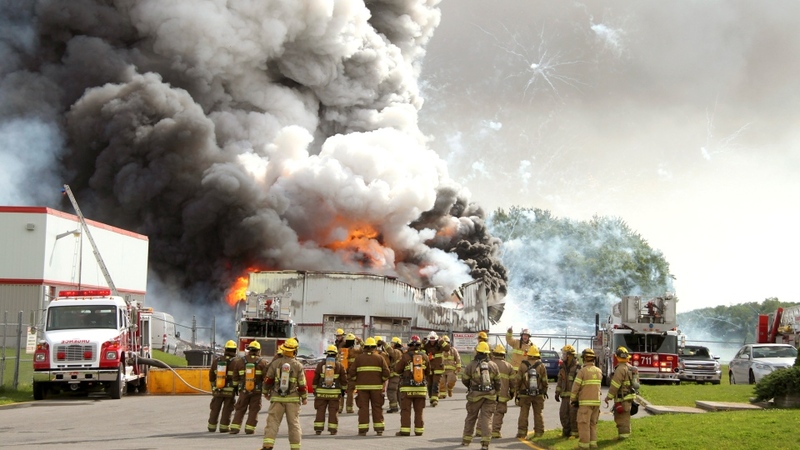 The Surete du Quebec confirmed earlier Thursday that two bodies were found in the charred wreckage of the factory. The women, who have not yet been identified, were employees of the fireworks company. 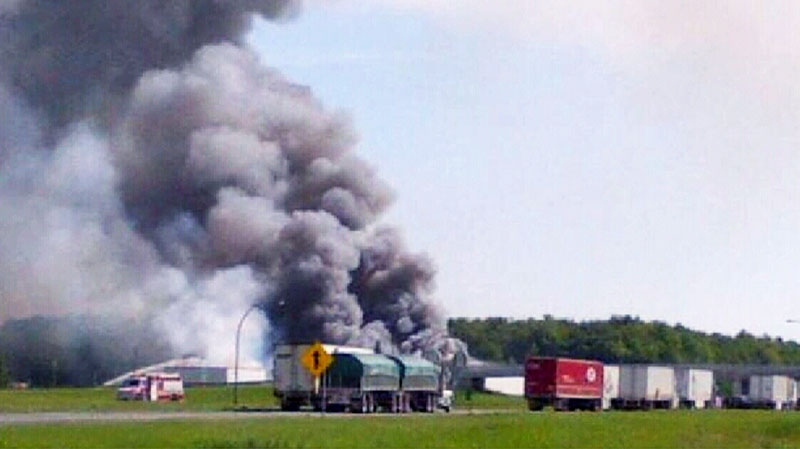 Coteau du Lac Mayor Robert Sauve expressed condolences over the loss. “Our thoughts are with the families of those killed,” he told reporters. During a Thursday afternoon news conference, police provided few details about what may have caused the blast, which sent huge plumes of thick, dark smoke into the air. "The investigation is ongoing. We're not going to be able to give any more details concerning this information," said a police spokesperson, when asked about the possible cause. According to reports, one powerful initial blast was followed by a number of smaller explosions. Witnesses said the fire spread from a small building to a larger warehouse. "We got really, really, really scared," Ginette Liboiron, who runs a convenience store across the highway overpass, told The Canadian Press. Several nearby residents were awakened by the sound of the blasts, and some ran outside to see what was happening. “I was in the bathroom when I heard a large ‘boom.’ It was like an earthquake,” Nicole LeCompte told CTV news. 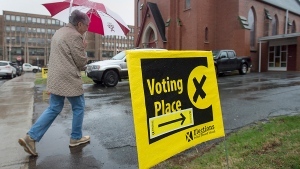 Police evacuated a one-kilometre radius around the fireworks factory and temporarily shut down the busy Highway 20, with a barricade established roughly seven kilometres from the factory. Motorists were being diverted away from the scene as a massive plume of thick, black smoke could be seen along the horizon, rising up from the ground. The highway, which is a major artery between Ontario and Quebec, has since reopened, as have rail lines that run alongside the highway. 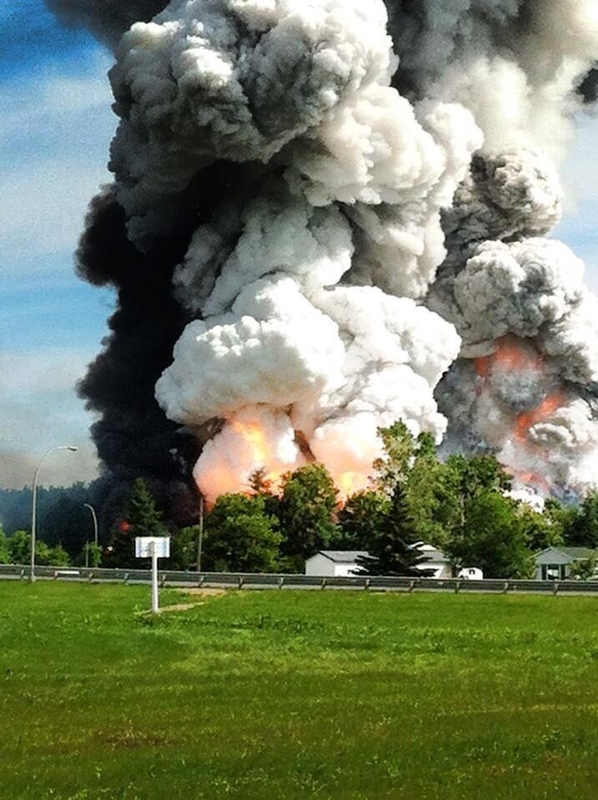 Hours after the initial blast, fireworks could still be heard exploding in the vicinity of the factory, reported CTV Montreal’s Derek Conlon. The fireworks facility would likely have been well-stocked with fireworks in preparation for two upcoming statutory holidays: St. Jean Baptiste Day and Canada Day. 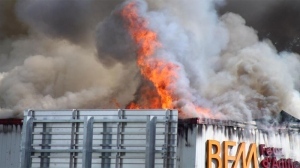 Though the fire was believed to be under control hours later, efforts to extinguish the blaze were hampered due to a lack of water near the facility. The 40-year-old facility was not equipped with a sprinkler system and police said there is no municipal water in the area. More than 100 firefighters from different departments had to fill pumper trucks and drive to the facility to douse the flames. Officials were also on scene Thursday to conduct air quality tests. 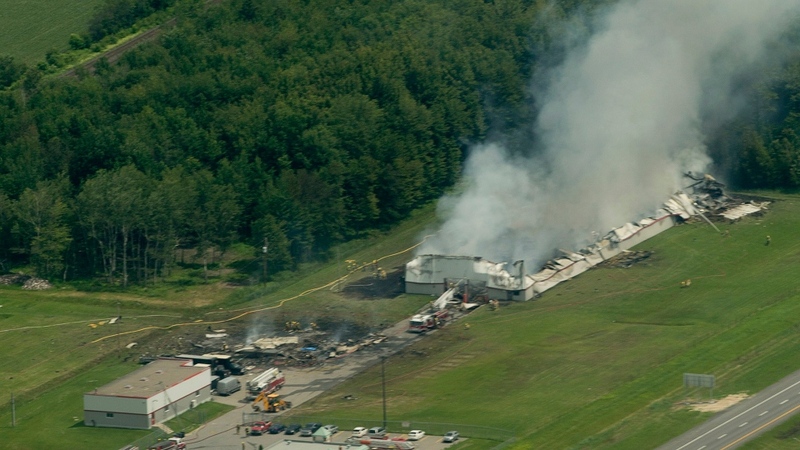 Smoke rises after an explosion at a fireworks store in Coteau du Lac, Que., Thursday, June 20, 2013.